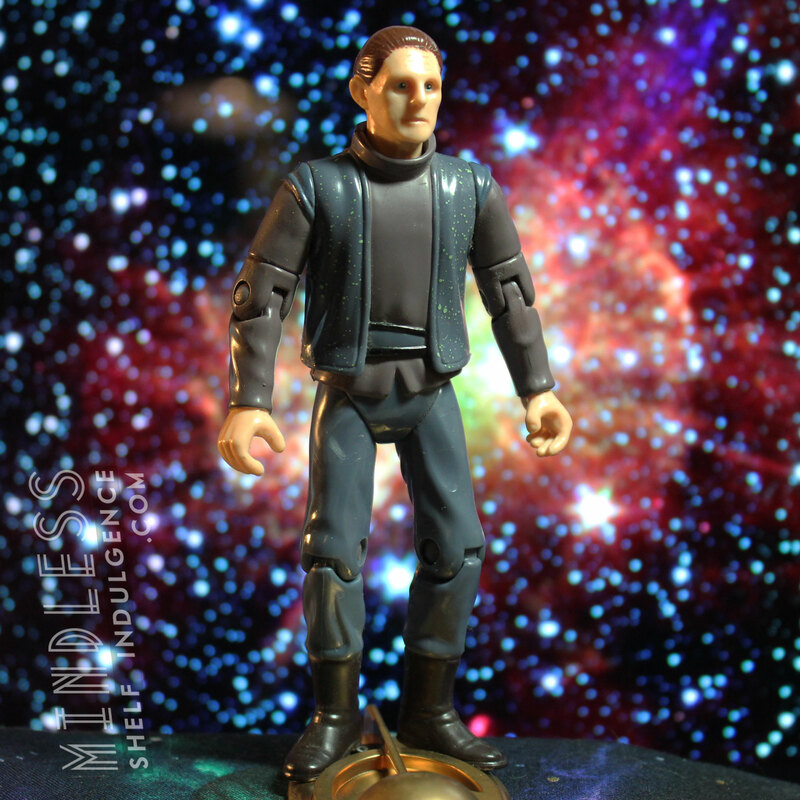 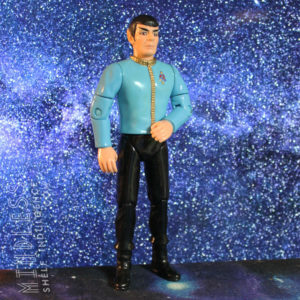 This set of six figures includes Picard and Riker in Dress Uniforms, Kirk and Spock in Dress Uniforms, and re-packs of the standard Sisko and Kira figures released with the first series of DS9 figures. 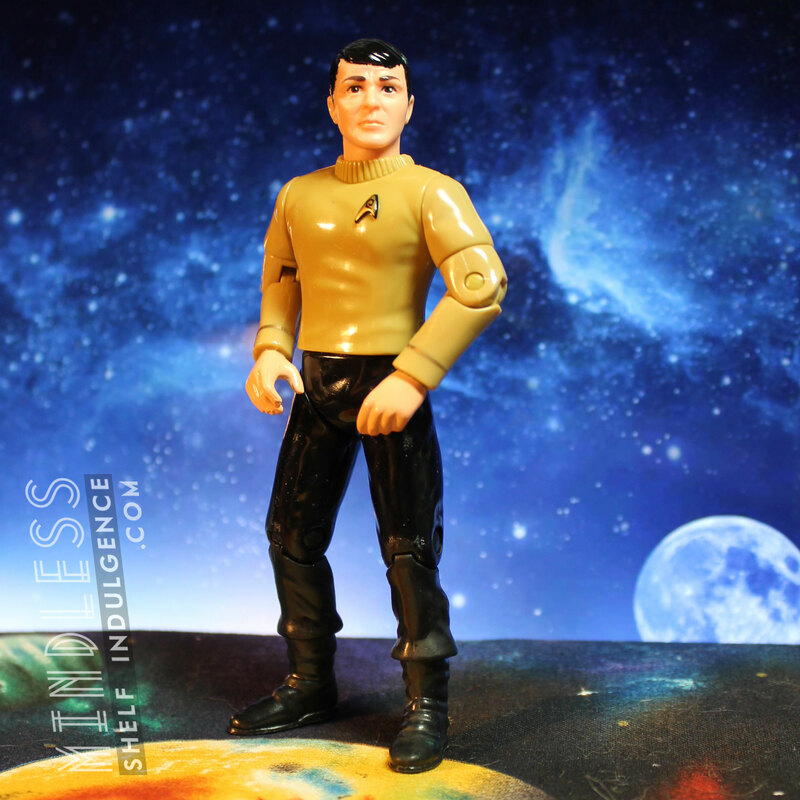 Each figure includes two accessories, and the whole set includes one long group base. 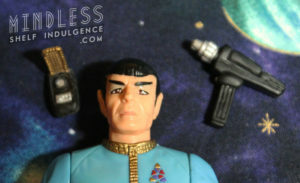 Spock includes a black communicator and phaser.